Delphina hotels & resorts, 100% Sardinian, have chosen 100% green energy – an important milestone in environmental sustainability that means it is the first Italian-owned hotel chain to use only energy from a set of renewable sources. 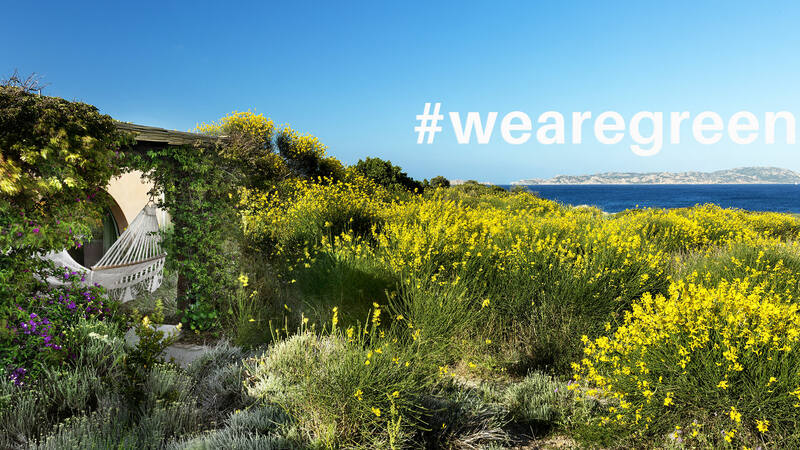 The headquarters and the 12 hotels, residences and villas all facing the sea between the Costa Smeralda, the La Maddalena Archipelago National Park and Badesi are powered by renewable energy, as certified by the guarantee of origin (GdO). This is a spontaneous choice that demonstrates the strong link between Delphina and Nature and which is an example of the added value of holidays in Sardinia. In terms of numbers, this use of green energy will result in a saving of 3,536 tons of C02 each year. This amount of carbon dioxide is equivalent to that absorbed by about 25,000 trees and the same as if 4,500 medium-sized cars covering about 20,000 kms a year were taken out of circulation. However, responsible actions become even more important when they are shared, so Delphina is addressing its guests, those lovers of this Sardinian land and nature and inviting them to spend genuine holidays in unique locations while saving CO2! The use of green energy is in addition to the other good practices found in the We are green® Protocol, a series of concrete undertakings to which Delphina is committed every day. This is a story of an association with the environment that has lasted more than 25 years, even before the creation of the protocol. It was the express desire of the President and his partner that the buildings should be constructed in harmony with the surrounding landscape and with low visual impact. Indigenous plants and local trees have been protected and re-planted where possible so that the botanical composition of the area is respected and water resources are saved. Respect for the delicate scents and brilliant colours of the Mediterranean macchia or scrub can also be seen through the exclusive use of electric vehicles for transporting guests around the resorts. Beauty is also green. At the hotels’ and resorts’ exclusive Wellness Centres, nearly all the products used in the SPAs are Eco-Bio and paraben-free. A wide selection of Sardinian scrubs, sera, creams and soaps are made from natural blends and essences of Mediterranean macchia ranging from myrtle to helichrysum and from olives to Cannonau grapes. In the guests’ rooms, the ICEA and ECONAT certified courtesy products are classed as environmentally-friendly derma-compatible cosmetics that are ideally suited to sensitive and intolerant skin. In addition, the use of Ecolabel-brand products for regular cleaning is standard in all facilities along with separated waste collection and lights and air conditioners that switch off automatically in the majority of the rooms. The agreement between Delphina and the environment is also “written” on paper. Catalogues and publications are printed on eco-friendly cellulose paper, whose FSC certification ensures the provenance of wood from properly managed forests according to rigorous environmental, social and economic standards. There is also the PEFC brand, which guarantees sustainability in forest management and the traceability of wood-based products. In addition only mineral oil-free ink derived from renewable vegetable oils is used for printing advertising material. Delphina is passionate about its native territory and it remains a priority. Many of Delphina’s initiatives are focused on limiting the impact that its activities may have on it and on enhancing the beauty and purity that it has to offer. Promoting excursions and trips into the inland regions is an act of social as well as environmental responsibility, giving support to the local economy with its excellent food and wine. But Gallura is not just crystalline seas, the scent of helichrysum and imposing granite boulders. Excursions along the roads and byways of the inland areas mean that guests can discover authentic Gallura traditions that are kept alive in the narrow streets of the area’s charming villages by genuine hospitable inhabitants. It is here that the true spirit of Sardinia can be found, a spirit that inspires skilled craftsmen in the creation of precious artefacts. Delphina supports the local economy by using these hand-crafted products to enhance and enrich its bedrooms which are furnished in a modern Mediterranean style with handmade fabrics, wrought iron, artistic ceramics and wood. Sustainability also means the promoting and offering of a range of good food which is considered to be the region’s gastronomic heritage and which consists of the use of locally grown and sourced products together with a number of traditional recipes. Without having to leave the hotel, guests can enjoy typical Sardinian dishes guaranteed by the Delphina – Genuine local food oriented® brand, with which the Sardinian chain is committed to providing fresh and genuine 0 km products with specific attention paid to seasonal variations. This philosophy is embraced by our chefs who offer their creative best in Gallurese and Mediterranean recipes and cuisine.